If you want your organization to successfully embrace your strategic change, focus on the human aspect. That’s right. People will be the ones implementing the change. So, get them involved, listen to them, and work together. If you do, you’ll build tremendous loyalty, trust, and engagement, which is priceless. As coaches, our work with leaders includes focusing on the human side, which helps leaders reap the ROI of their business or smart investment. In short, we teach leaders to be proactive with change. When I, CrisMarie, was consulting with Blue Cross Blue Shield in the early 2000s, I was lucky enough to get certified in the Leading and Managing Organizational Transitions through William Bridges & Associates. Much of how I approach change initiatives is influenced by William Bridges, the grandfather of change management and author of Managing Transitions. Why: Start with why. People need to understand why this change is so important. You have a good reason. Let them know what it is. What: Paint a clear picture of how the world will look and feel on the other side of the change so people understand what you are aiming for. Your team wants to know how the destination will look and feel. Understanding the target will help them gauge their progress along the way. 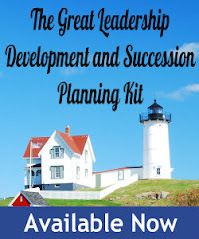 How: Lay out a step-by-step plan how the organization will get to the final destination. Plans may change as you travel and close the gap between where the organization is now and where you want it to go. Offer frequent updates. Who: Who needs to do what? Help your people understand exactly what they will be doing to make this change a reality. You can’t do it alone. Giving people a role helps them buy in to the change as they participate in the implementation. For people to buy in to change, they need to understand the change from your point of view. You know why you want to change, what you are aiming for, how you are going to get there, and who needs to do what. Explain that to them so it becomes crystal clear, easy to understand, and nearly impossible to be misunderstood. In addition to the why, what, how, and who, people want to know that you care about more than just the business results. They want to know you care about them as human beings. When you communicate, let people feel like they are part of this process, because, in fact, they are. You literally could not do it without them. Show them they matter as people. They are not just cogs in the wheel. You hear and understand their points of view. Be considerate. Let them talk about where they are in the change process, especially if they are upset with it. Shutting down their frustrations only sends those feelings underground, causing bigger problems, like gossip and undermining – what we call corporate cancer. This will only sabotage your change efforts. Let them know you haven’t discarded them. Show the team how they are still connected to the company, to you, and to each other in the midst of this change. Give them a specific role to play, hear their feedback, and encourage their participation in the solution. Combine the why, what, how, and who when you address the organization. This detailed communication gives people clarity about where they are going, and helps them get and stay engaged. So, what happens when things get bleak? Let’s look at the Valley of Despair. Change requires people to work differently, be it on a system or in a specific business process. Despair. It’s based on and adapted by various Change Management experts from Elisabeth Kubler-Ross’s “Five Stages of Grief” described in her book, On Death & Dying. Productivity falloffs during times of transition is due in part to concrete changes such as new systems and processes. It’s also due to the internal process human beings navigate to embrace the change. William Bridges says that when change occurs, people have to experience psychological reorientation to the new way of being. For people who have been doing the same things at the same place for a long time, this does not happen overnight. People process at different speeds. As a leader, you can support individuals to move through this process. What seems like resistance is often fear of the unknown. Most people really do want to do a good job. They resist the new way because they’re afraid of losing competency, status, control, relationships, turf, meaning, and/or identity. This fear mires them in resistance. Getting specific about what they fear they are losing and acknowledging that fear will help them move through the resistance. For example, let’s say you’re implementing a new software system. You have an older employee, Bob, who is a wiz on the old system. Everyone comes to him when they have issues. When the new system arrives, with much more modern technology, Bob may feel a bit threatened. His feelings are justified. All of a sudden, he doesn’t know what he’s doing. He’s a beginner. If there’s not space for him to acknowledge his loss of competency, he may feel so overwhelmed that he quits. When he does, all his organizational knowledge, which is priceless, walks out the door with him. If instead, there’s permission for him to first acknowledge the loss, he can then feel it and accept that he’s a beginner. This makes it easier for him to engage in the training offered. Acknowledgement of what is being lost right-sizes the impact of change. The system is new, but Bob still knows all about the organization. Once Bob, or any employee identifies their loss, they can move through it and figure out how to replace or redefine what they have lost. Sometimes they have to come to terms with the need to let go, or relinquish, something. For Bob, he may have to let go of “man to go-to” status when the new system arrives as the younger employees learn it more quickly. Communication — early and often — is a key responsibility for leaders implementing big change. Communicate why the organization is changing, what the end goal looks and feels like, how the organization will get there, and who will do what to make it so. And remember, success depends on bringing your people along. Treat them as humans so they know they matter to you, to each other, and to the company. Be prepared for the Valley of Despair, and provide a path for individuals to honestly talk about their struggles in the change process. Give them ways to identify what specifically they’re losing in this change and how they can replace, redefine, or relinquish what they have lost. Finally, keep in mind that big change can take months or years to successfully implement. Stay connected to your people for the entire journey. Then you’ll reap the ROI you’ve been looking for. 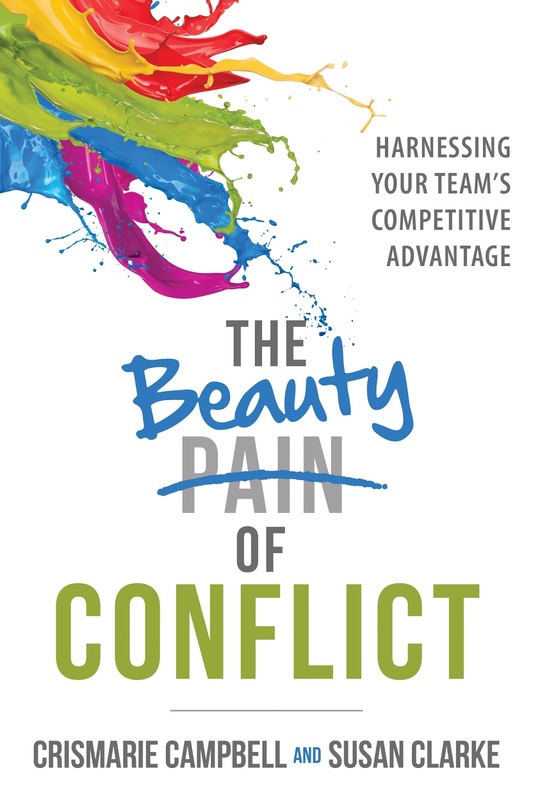 CrisMarie Campbell and Susan Clarke are coaches, business consultants, speakers, and co-authors of The Beauty of Conflict: Harnessing Your Team’s Competitive Advantage. They and their organization, Thrive! Coaching and Consulting specialize in helping professional women, leaders, teams and entire companies learn how to transform conflict into creativity and innovation.